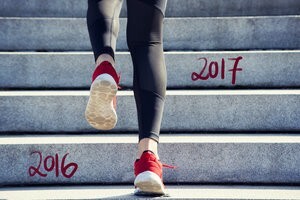 Jump-start your fitness goals for 2017 with these apps for the travel nurse! January is all about New Years’ resolutions. If you’re like most of us, somewhere on your list of resolutions for 2017 is getting back into shape. Heck, maybe you’re one of the lucky few who actually kept this resolution last year, and now you want to maintain your fitness level. MapMyRun: You’re new in town — again — and you have no idea where the best jogging routes are. With MapMyRun, you’ll never be at a loss. From hiking trails to city streets, this cool app can help you find where all the cool kids are running these days. When you find a route you love, you can save it or share it with an online community of more than 40 million members. Plus, MapMyRun will send you tips on how to improve your workout so you can reach your running aspirations. 7-Minute Workout Challenge: This popular high-intensity circuit workout app can really benefit the busy travel nurse. You can do the challenge anywhere. All you need is a wall, a chair, and hypothetically 7 minutes of your time. You can repeat the workout to maximize your results, so 7 minutes could turn into 21 minutes if you’re going for the gold. The workout includes a series of 12 bodyweight training exercises like squats or push-ups. Each move should be performed for roughly 30 seconds with a 10 second rest in between. Get ready to sweat, because the “high-intensity” part of this routine is no joke. Dailyburn: If you like the idea of a personal trainer in the comfort of your own home, then DailyBurn could be your new fitness obsession. Dailyburn is an online streaming video program that allows you to pick from a variety of exercise routines led by several fitness experts. Fans of Dailyburn like the diversity of workout options. However, unlike some others on this list, Dailyburn is subscription based. Sworkit: This fitness app has been likened to Spotify, but instead of song playlists, you can create a playlist of workout routines. The app allows you to choose from a variety of fitness programs or build your own. Plus, you can tell the app how long you want to work out for, so you can time it to your favorite TV show or podcast. MyFitnessPal: This free app tracks your food intake and workouts to help you make better lifestyle choices. It’s a digital diet and exercise diary meets calorie counter. The best part? The app has a database of more than 5 million different food items, so it’s easy to track your intake no matter what you eat. These top 5 fitness apps for the travel nurse make keeping your New Years’ resolutions easier than ever before! What are some of your favorite workout routines when you’re on the road? Tell us in the comments section below! Ask a Travel Nurse Expert!